No homeowner ever wants to experience storm damage to their roof, but sometimes Mother Nature has other plans. In the event of major roof damage, it's important to quickly get professional repairs in order to prevent damage to the inside of your home. At Storm Shield, our roofers are always ready to go at a moment's notice with the equipment and expertise needed to quickly and effectively repair all types of roof leaks and roofing damage. As one of Greater Cincinnati's leading roofing companies, our roofing crews are well versed in all types of roofing materials and can solve any problem you may have. If you have a storm damaged roof or need any of our other roofing services, call us at 1-844-385-7834 or click below for a free estimate! 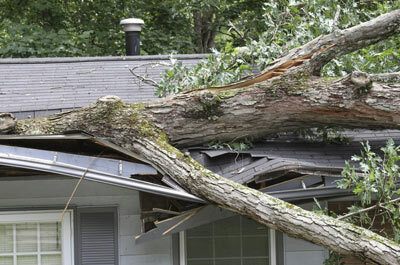 As an experienced roofing contractor in Greater Cincinnati, Storm Shield can handle any roof repair need you may have. 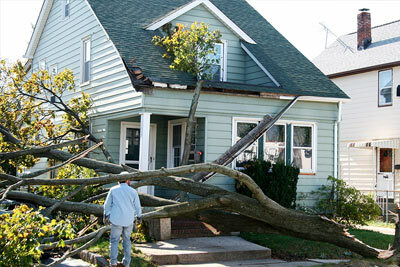 If your home has leaks, wind damage, or a collapsing roof, make us your first call to get fast, effective repairs. Call us today for a free estimate on any of our roofing services! We work throughout Loveland, Hamilton, Cincinnati, Mason, Middletown, West Chester, Florence, Ft Mitchell, Batavia, Fairfield and the surrounding areas.